TOLLESBORO Doris Stevenson Secrest, 89, of Ewing, Kentucky went home to be with her Lord and Savior on November 11, 2018 at the Care Center at Kenton Pointe. Ardmore, Tennessee, where she lived until she and her parents moved to Detroit, Michigan during World War II. During her time in Michigan she met her husband, LaVae Secrest to who she was married 42 years before his death in 1989. They had one daughter, Dorinda, but together they shared their love with so many of Dorinda’s friends, family friends & neighborhood children. Doris and her family moved to Tollesboro in 1949 where she resided until 2002 after suffering a stroke and moving to the “Snow Hill” community in Fleming County with her daughter and son-in-law Bill Leet. 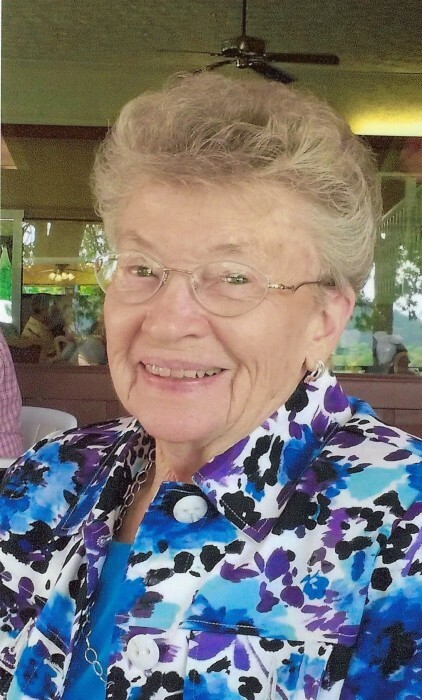 Doris was a faithful member of the Tollesboro United Methodist Church for over 65 years, where she served the Lord in many positions, including: Church Treasurer, Sunday School teacher, Choir Director, and UMW president. Following her move to Fleming County she also attended Mt. Pisgah Baptist Church with her family. There she became “Mom” to the church choir. 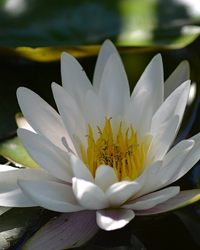 Doris worked in both Tollesboro and Maysville throughout her life at various locations, with her longest tenures being with Hendrickson’s Paint & Wallpaper Co. and the White Gallery. Doris “adopted” many people into her life and was loved and respected by all of them. She had a true heart of service and was a very generous, compassionate and selfless example to others. She served with her husband LaVae in the Tollesboro Lions Club from 1954-1989 and was among the first group of volunteers for Hospice of Hope. Her ministry for the past 16 years has been sending cards and making phone calls for birthdays, anniversaries, sympathy and encouragement. In addition to her daughter & son-in-law, she is survived by her sister-in-law, Maxine Mashburn of Gadsden, Ala., several nieces, nephews, cousins and her “adopted” family: Gregg Webb, Becky (Sean) Jackson & Family of Tollesboro, Amy (Eric) Lewis & Family of Georgetown, KY., and Katie (Obie) Williams & Family of Frankfort, KY. She is also survived by a host of friends & her church families at Tollesboro UMC and Mt. Pisgah Baptist Churches. In addition to her husband and parents she was preceded in death by brothers, Fred B. Stevenson and wife Christine, James H. Stevenson and wife Louise, brother-in-law Charles Mashburn and her “adopted daughter” Pamela K. Webb. Funeral service will be conducted at 11 A.M. Friday, November 16, 2018 at Tollesboro United Methodist Church with Dr. Mike Rice, Bro. Denny Mashburn and Bro. Kevin Baker. officiating. Visitation will be held from 5-8 P.M. Thursday at the church. Interment will follow at Hillcrest Garden of Memories. Pallbearers will be Sean Jackson, Eric Lewis, Obie Williams, Mike Boyd, Stacy Stevenson, Ival Secrest, Lindsey Leet and Randy Hughes. Honorary pallbearers are Mike Cole, Bob Leet, Gregg Webb, Al Bane, Jim Boyd, Junior Caskey, Glen Cole, Steve White, Kirby Wright, Jim Harris, Steve Pederson, Dan Abshire, Bud Gifford, Nolan Darnell & Mt. Pisgah Baptist Choir Members.